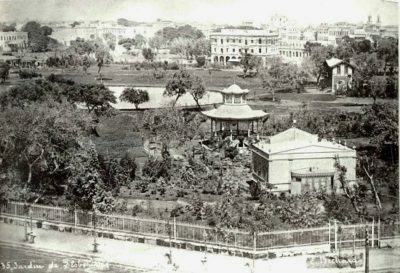 [caption id="attachment_1498" align="alignnone" width="400"] Azbakiya Gardens[/caption] Al-Azbekiya neighborhood is one of the oldest neighborhood in Egypt, it is associated with the history of Egypt and witnessed many important events in different stages of its history. 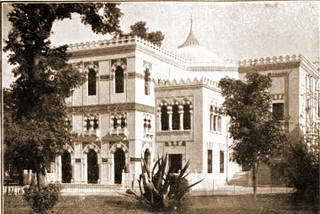 It was the place where the first Cairo Opera House was established, until it was burnt in 1970. The name of this place dates back to the late 14th century during the rule of the Mamluk state, when Sultan Qaitbay rewarded the commander of his armies, Seif al-Din ibn Azbak, of a piece of land near the pond of "Batn Al-Baqar' (The belly of the cows), which was then a barren land with only two tombs: the tomb of Sidi Antar and the tomb of Sidi Wazir. 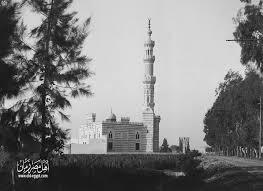 Seif al-Din ibn Azbak established then in his new land a great park around the pond named after him, and built a mosque. 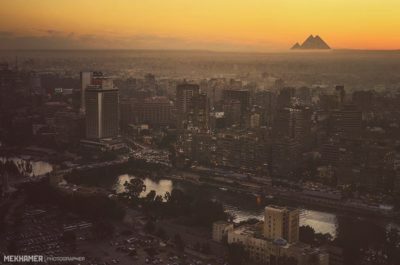 By 1495 Al-Azbakiya became a great neighborhood in the center of Cairo. Gamasa is an Egyptian city, following the governorate of Dakahlia, and overlooking the Mediterranean Sea. The city is the extension of Mansoura city, characterized by its clean water, low humidity, soft sand and high iodine, and also it is considered one of the closest and cheapest beach to Cairo. There was always a question mark when it came to Gamasa's name; the name makes no sense in Arabic, and that's due to the fact that the name is actually a French one! Let's us tell you a story. 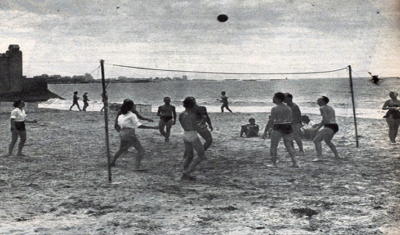 during the French campaign in Egypt between 1798-1801, Napoleon Bonaparte was touring the country, one of his stops was Mansoura city, over there he stumbled upon a spot with beautiful beaches. 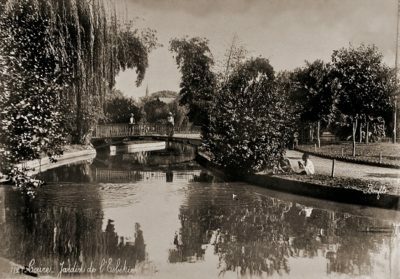 He expressed his admiration for the area exclaiming “J’aime ça” which means “I love this.” Hence, they decided to name the city “J’aime ça”; and throughout the years, the two words got merged into one word, and the 'J' turned into 'G' and it became Gamasa. One of the popular neighborhoods in Giza Governorate is Al A'agouza. 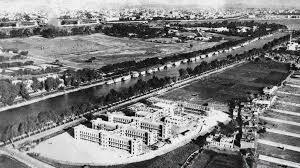 It is located on the shore of the Nile River next to Al-Muhandisin neighborhood, which is bordered to the north, to the east is the Nile River (which is called the Blind Nile) and to the south and west Dokki neighborhood. Al A'agouza means The old lady, people would always wondered while roaming the neighborhood who is this lady, and why is the neighborhood named after her. Here are the answers to these questions... [caption id="attachment_1495" align="alignnone" width="204"] Mohamed Sherif Pasha[/caption] Mohamed Sherif Pasha was an Egyptian statesman of Turkish origin. 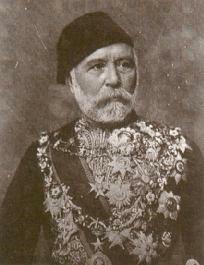 He served as Prime Minister of Egypt three times during his career from 1879 to 1884. Sherif Pasha was married to the daughter of Colonel Sèves, the French non-commissioned officer who became Suleiman Pasha under Mehmet Ali, her name was Nazly Suleiman. 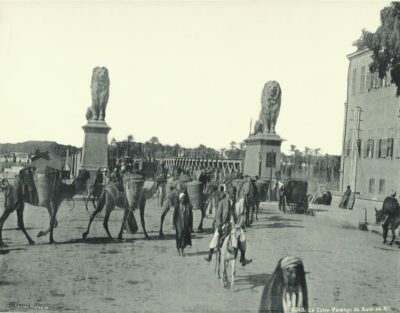 During his life, Sherif Pasha had wanted so much to build a mosque near El Galaa Bridge, and name it after him. After his death, his wife, fulfilled his wish and built the mosque. She lived in a villa nearby until she turned 90. People tended to say when they were heading toward this neighborhood "I am going to the old lady", the saying kept on going until the neighborhood became known as Al-A'agouza.